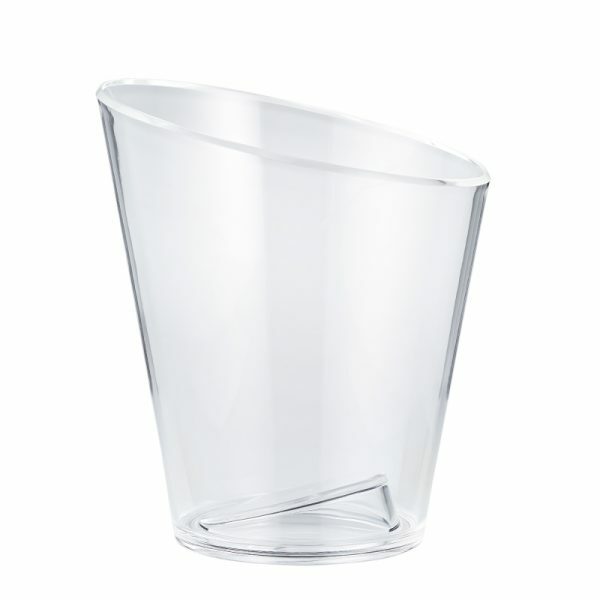 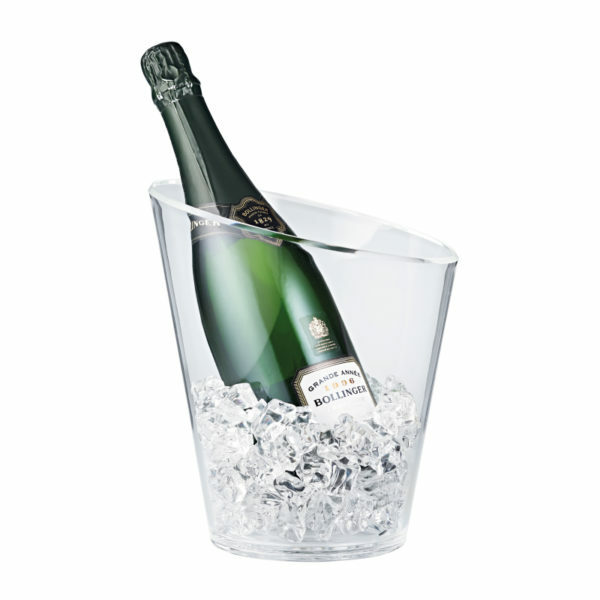 Slice Ice Bucket features stylish angled cut away rim. The slanted base moulding correctly balances and ‘presents’ your bottle at repose. Crystal clear acrylic allows beautiful bottle labels to be appreciated. 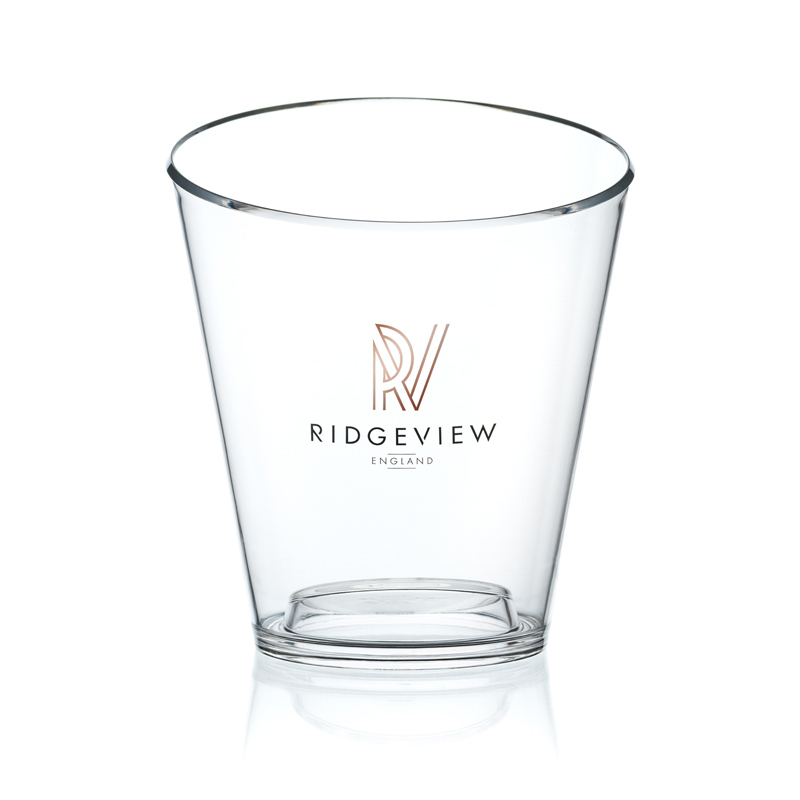 Custom colours available from 1,000 pcs.